Space seems to be getting less and less these days – however, our love for beautiful designs and aesthetically pleasing surfaces is as strong as ever! What to do? Well, if you’re a regular here on homify, you will know that there is no shortage on clever tricks and simple tips to help you with a myriad of different design- and architectural related issues, from choosing the best flooring for your bathroom to helping small rooms look bigger. Today’s homify 360° discovery focuses on small-scale living with a clever twist – it allows you to pack up your belongings and set off to wherever you choose. Don’t like your neighbours? Can’t stand the landscape surrounding you? 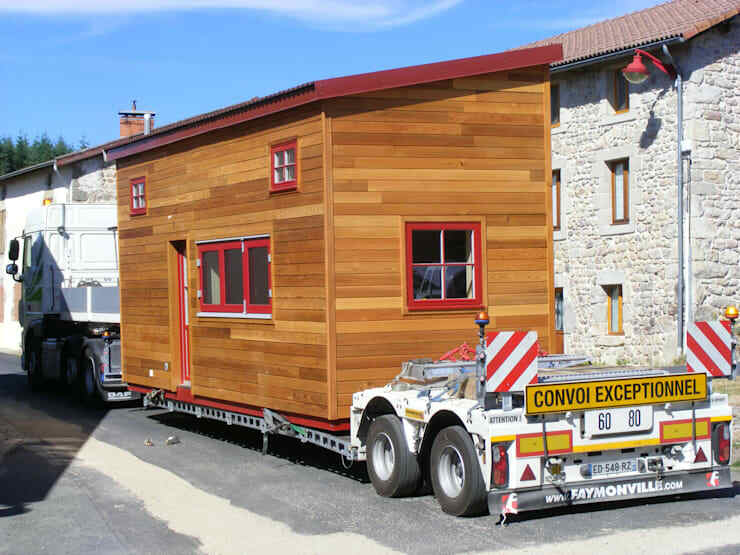 Simply load your little house onto a moving van and set off to wherever you please! We just love beautiful wooden surfaces, and this house definitely caters for those who appreciate the natural and warm look of timber. Decked out in horizontal timber panels in a caramel colour (red cedar wood, to be exact), this little structure certainly knows how to catch one’s eye. Today’s human beings know all about a rushed lifestyle. Well, this cute little abode takes some of the edge off packing up all your belongings and moving to a different location – it’s as easy as 1, 2, 3! Don’t overlook the quaint windows and door, decked out in a striking candy-red for extra special effect. 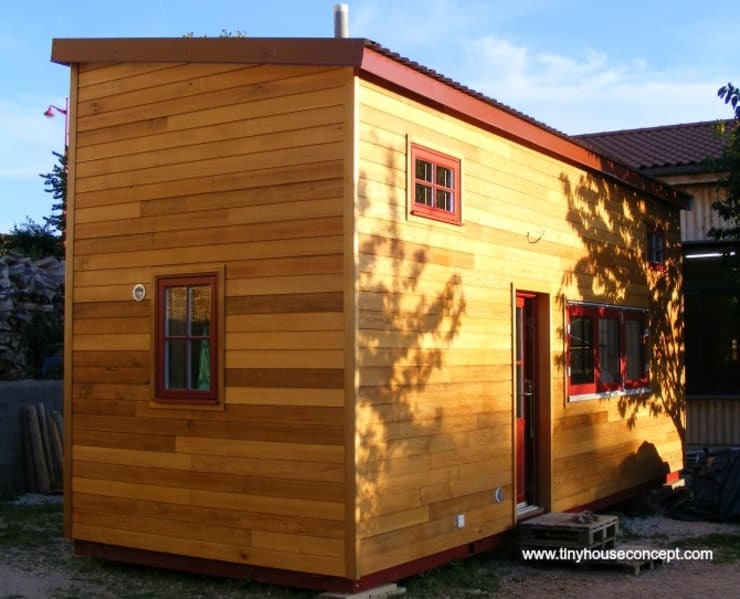 On the other hand, if a mobile home is not really your style, then this structure could also function perfectly as an annex to your existing house – like a garden shed, playroom for the kids, office, art studio, or even a quaint little living space for guests who need their own privacy. 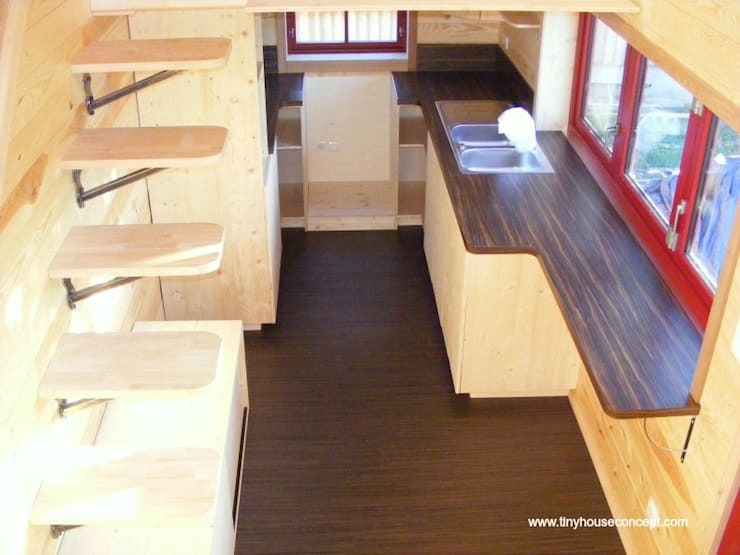 As we can see, the interiors seem quite cosy and practical, with the kitchen area providing an abundance of storage spaces and work surfaces. Due to the clever layout of the interiors, this little structure certainly teaches us a thing or two about saving space. Look how the floating timber steps (yes, those are stairs) lead to the sleeping spot above the main living area, taking up only a handful of vertical space without impacting the rest of the interiors. 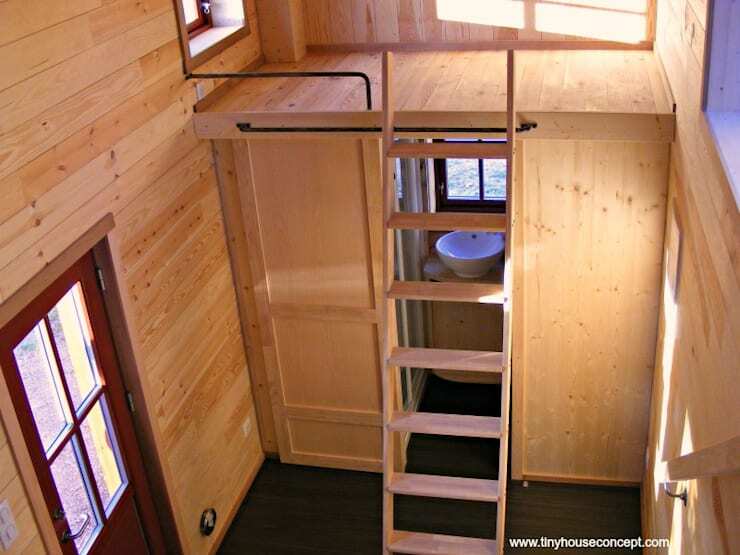 If you were stressed that you would have to answer nature’s calls outside, think again – this abode knows the importance of privacy, for it presents a decent bathroom space, complete with sliding door, right underneath a modest loft area. 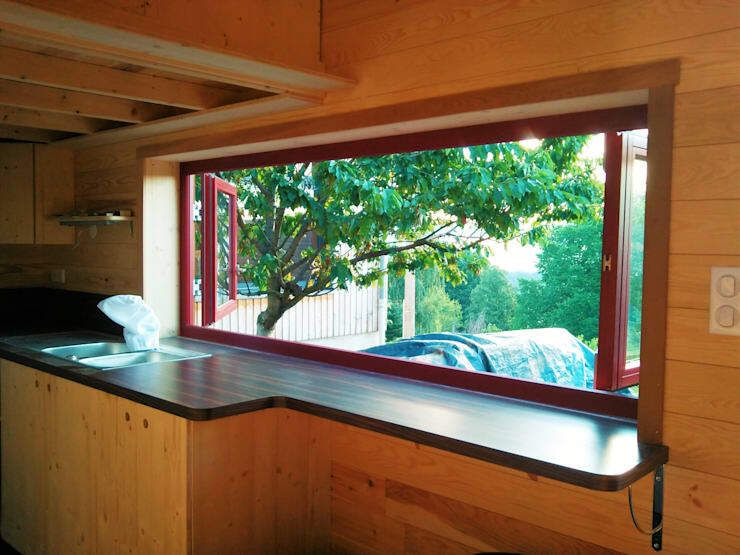 Small doesn’t have to mean cramped – these windows open up magnificently to let a generous dose of fresh air, sunlight, and exterior views seep indoors. See what a difference natural lighting can make to a space? On that note, take a look at these: Tips and tricks for your windows and glass! 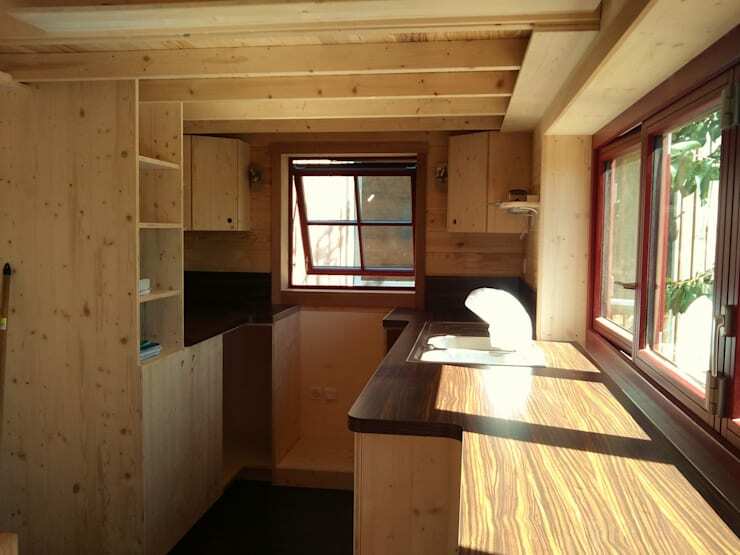 Of course we know that this mobile home is not for everybody – tell us what you would use it for.